It was a big night for one heavyweight judoka. 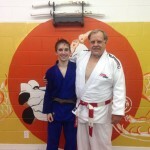 With 7th dan Randy Pierce presiding, Bryan Enlow was promoted to shodan, 1st degree black belt. This was a crowning achievement for Bryan. 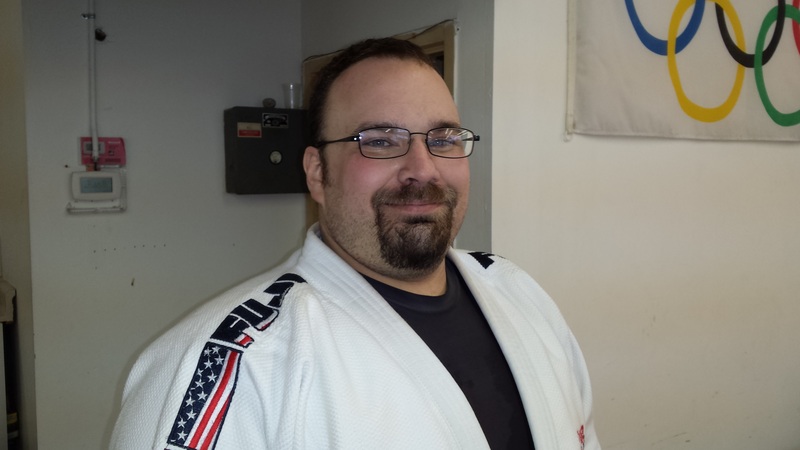 The former youth pastor and army veteran has been in judo since he was a teenager. Judo has help shape him as a person. His contribution to judo are beginning to pile up. 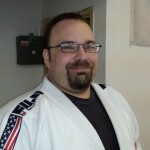 Bryan Enlow is one of the junior instructors at the dojo. 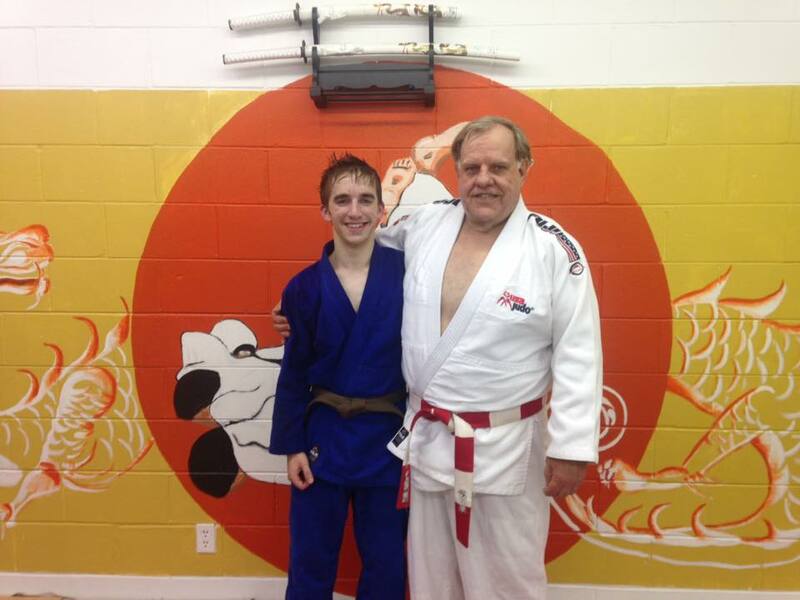 He has contributed to the junior judoka program’s success. Bryan has also develop as a referee. This is often a hard transition for a shia competitor like Bryan but he has made it look easy. White Dragon Judo Club would like to congratulate Bryan Enlow and wish him continued success in the martial art of Judo. Members of White Dragon Judo Club were in attendance at the AnnMaria De Mars Judo Clinic on May 7, 2016. 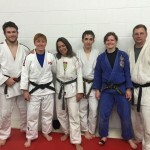 The seminar took place at the Tulsa Judo Club in Tulsa, Oklahoma. AnnMaria De Mars is the 1984 World Judo Champion at 56 kilograms. The matriarch of juji gatame is also the mother of 2008 Olympic bronze medalist Ronda Rousey. The seminar revolved around De Mars’s mastery of kansetsu waza (joint lock techniques). Sensei De Mars went over the basic concepts of the armlock. She then demonstrated modification and advanced versions of the technique. Judokas from all over the Midwest region were able to learn and practice with a World Champion. May is the month of graduation for many high schools and colleges. 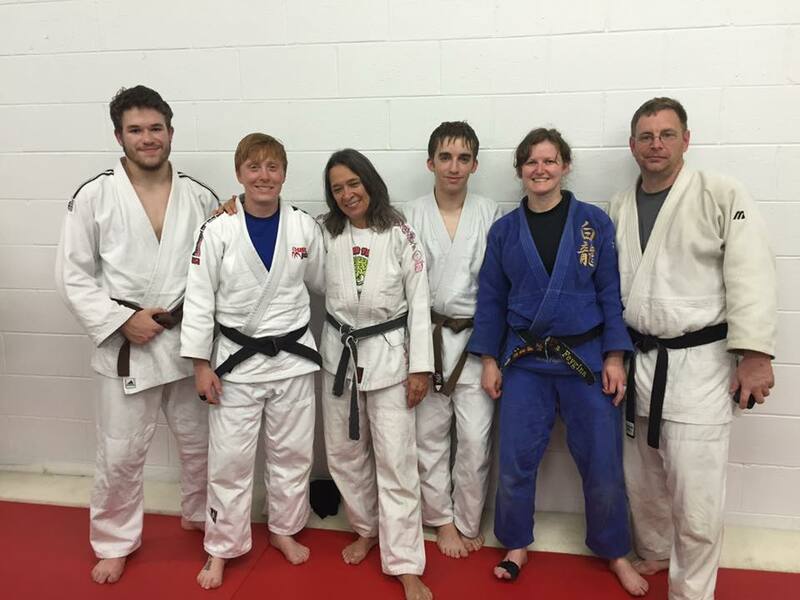 White Dragon Judo Club hosted its first promotion night of the month on May 2, 2016. The event featured the graduation of Byron Helmrich to the rank of Ikkyu. The legendary Randy Pierce presided over the examination. Helmrich executed a near flawless examination on his way to a unanimous decision for promotion. Byron is a role model of dedication and commitment. The New Jersey native worked hard the past couple of years and it paid off. Byron competed in kata and placed third in his division at the 2016 USA Judo Senior National Championships. The sky is the limit for this young man with unlimited potential.